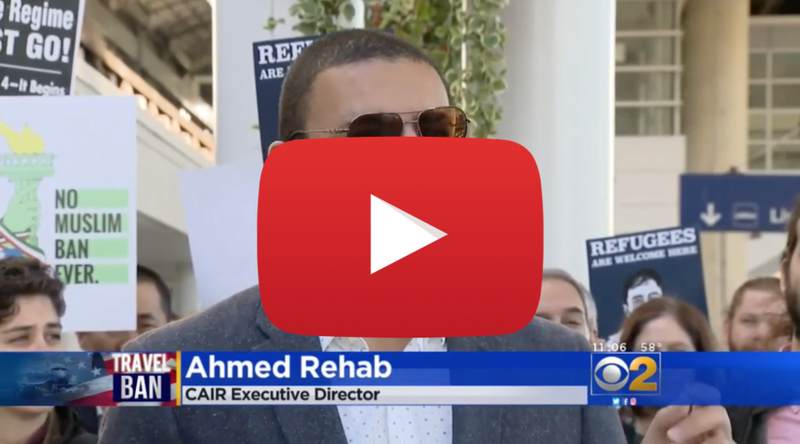 On October 18th, CBS Chicago covered the #NoMuslimBanEver rally, held by CAIR-Chicago and a number of co-hosts. Ahmed Rehab, executive director of the Council on American Islamic Relations, said there are three things opponents of the travel ban need to do. “The first is litigation; we need to fight back in the court system. The second is public protests and rallies to let the president, and the world, and America know where we stand as a people. And the third is through the services that we provide to protect the rights of families and communities,” he said. Protesters said Wednesday’s demonstration was necessary, because the president keeps revising his travel ban when the courts rule against him. “There were court orders before, and look where we’re at now. I mean, the executive branch is playing this game where they’re kicking the ball down the court, and they’re doing it again and again,” Rehab said.